Superdry women's Offshore Chevron Fuji jacket. 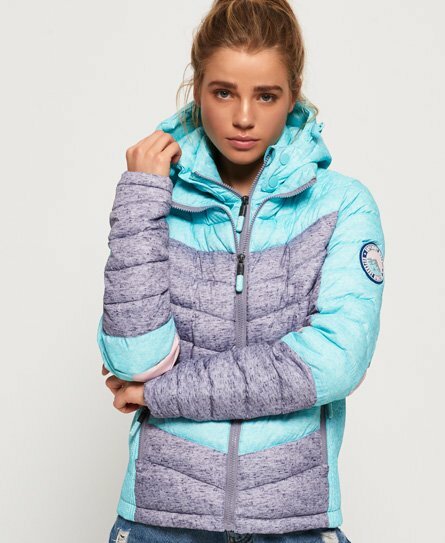 This padded jacket features a double layer zip fastening, a removable hood with bungee cord adjusters and two front zip pockets to keep your keys and phone safe. This jacket also features a colour block design, elasticated cuffs and side panels for a flattering fit. Completed with a Superdry logo badge on the sleeve, this jacket is a seasonal essential that can be paired with anything from jeans to joggers.